Finally, the financial crisis is not yet over even if the U.S. Senate and Congress passed the bill and sign by President George W. Bush and released the needed US$700 billion dollars in rehabilitating the economy and bailing out these companies. In Europe, it seem they are taking the beating from the ripple effect of the U.S. financial crisis had spread worldwide affecting all of us and it is beating the hell out of Europe. Germany and France are taking it serious effort in controlling the effect of the financial crisis. France's BNP Paribas and Germany's Hypo Real Estate are hit hard and being bought by other major companies which were not stricken and have more capital to acquire ailing companies. European Union is preparing itself for anything worst possible scenario by setting a bail-out fund as well to its ailing banks. Who's next? Asia? The questions are, Are we prepared to fend for ourselves without the need of intervention from America who is also helpless and would take years to recover. Asia just got off from the claws of the 1997 Asian Financial Crisis wherein it took us 3 to 5 years to recover. As some of economists say, Asian countries won't be affected because the credit is not yet fully developed plus before borrowing money you still need collaterals just in case you cannot pay as what our Philippine banks are doing. 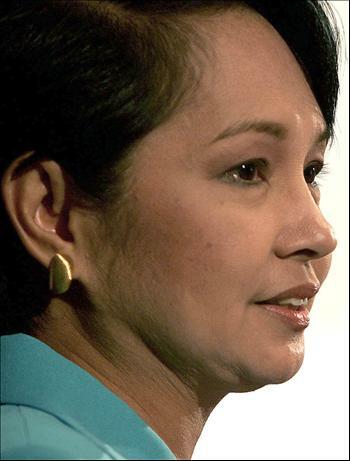 Yesterday, President Gloria Arroyo disclosed that the country needs to brace itself for the uncertainties up ahead. Our local exporting companies have already incurred losses since 2007 during the subprime crisis due to the slowdown of demand of imported products from their country with expected 1% percent (250,000 people) jobs loss from our country as what one of the economic adviser of President Arroyo disclosed. Without credit, the economy won't grow. It cannot obtain the growing needs of small and larger business to expand. There will be job losses and downsizing from most of the companies in the U.S. American Companies with international bases abroad would likewise relocate or outsource their existing companies in our country to the rapidly growing economies such as mainland China and India. Meanwhile Philam Group of Companies, an AIG company is being likely to be sold to other companies who are interested in acquiring this great company which has been included as a forerunner in insurances banking and other financial and investment services in the Philippines. Yuchengco Group of Companies is very vocal about the issue while Ayala Corporation, San Miguel Corporation, SM Group of Companies, First Pacific Corporation are still mum but are interested in expanding their business into into insurance and other financial services and investments. AIG is still struggling to sell of its international assets in order to raise funds to pay of the loans from the U.S. government. Will the Philippine government step up to the threat and have countermeasures on this issue. As the government would say, Yes. "we have plans for countermeasures on the effects of the financial crisis in America" but still the support of the majority of public would be needed and appreciated in facing this growing crisis. well I guess the best way to face the crisis is to be prepared as individuals. We can not expect the government to do much, with or without the crisis.